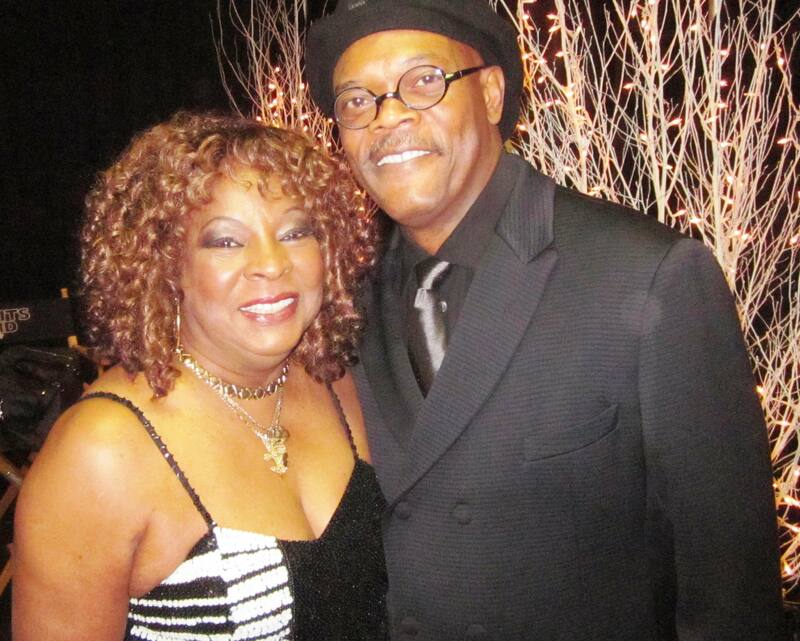 MOTOWN legend MARTHA REEVES is still wooing throngs from Detroit City to Timbuktu… WOW! Her memorable hits “Dancing In The Street,” “Heat Wave,” “Jimmy Mack,” “My Baby Loves Me,” and countless other Motown classics are being heard in stadiums, clubs, and concert halls around the globe in 2017. Martha and her band plan to visit aÂ venue near you in the not-too-distant future. BE THERE! Performing Arts Complex and Blues Museum coming to PBPR! Martha Reeves having fun with her audience! REMAINING CONCERT DATESÂ Martha ReevesÂ Motown legend MARTHA REEVES thrills fans atÂ packed concerts around the world! 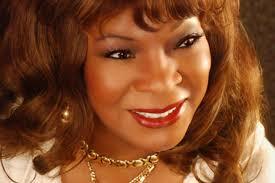 To book Martha Reeves (promoters only), contact Ideal Entertainment Agency, Dundee Holt at 212-293-7070Â ext. 3 Â dundee@idealent.com. Media Relations: Phil Brown (817) 681-6068 Direct; (817) 498-7075, fax. Motown songstress Martha Reeves performs to audiencesÂ in 40 cities on her Calling Out Around The World tour — Martha Reeves’ latest album HOME TO YOU is available at iTunes, Amazon, and other retail outlets. The inimitable Martha Reeves possesses one of the mostÂ angelic voicesÂ inÂ the musical galaxy,Â and her supple singing style is a paradigm for the worldâ€™s aspiring performers. From an infant in Eufaula, Alabama, to her adolescent and chart-busting years in the Motor City (Detroit), Martha has woven an elegant musical tapestry. Her unforgettable chart-topping hits caused rhythmic tremors that, after forty-years, are still reverberating earth-wide! FromÂ The Beatles and David Bowie to Mick Jagger and Linda Ronstadt, generations of recordingÂ artists and aficionados alike have been influenced by her viscerally undulating cadences juxtaposing herÂ bright Â presence. Even American Idol hopefuls and topÂ hip-hop artists mimic the tunes Martha has perpetuated. Her parents, Ruby and Elijah Reeves, laid the foundation by singing and playing guitar for the future star and her siblings, inculcating in them a deep-rooted appreciation for good music and inciting in Martha the passion to sing. When Martha was three-years-old, her mother entered her and her two older brothers, Benny and Thomas, in a competition at Marthaâ€™s grandfatherâ€™s (Minister Elijah Joshua Reeves) church, the Metropolitan African Methodist Episcopal, where Martha learned to sing. In preparation for the performance, Ruby rehearsed with the three while she foot-peddled a pretty new dress she made for Martha on her Singer sewing machine. Although Martha wasnâ€™t allowed to listen to secular music until she was 11-years-old, the exception was when her father sang for the familyâ€™s enjoyment. Her parents’ examples were the groundwork for all of her achievements, including her eleven track musical treasure Home To You. From her formative juncture at Detroitâ€™s Russell Elementary School to her energetic tenure at eastsideâ€™s Northeastern High School (sheÂ sang to 4500 at graduation), precocious Martha proved unyielding in relentless pursuit of her musical dreams. Under the guidance of well-qualified instructors, she began to mold her vocal apparatus into one of the most prolific in the annals of pop music history. Whether â€œHeat Wave,â€ â€œDancing in the Street,â€ â€œMy Baby Loves Me,â€ â€œJimmy Mack,â€ â€œCome and Get These Memories,â€ Iâ€™m Ready for Love,â€ â€œHoney Chile,â€ or â€œNowhere to Run,â€ (all top five hits) Martha rocked the lid off of pop and R&B radio! And like Motown 25, the Motown 45 Celebration demonstrates why Martha Reeves is considered an enduring legend by her fans and peers alike. 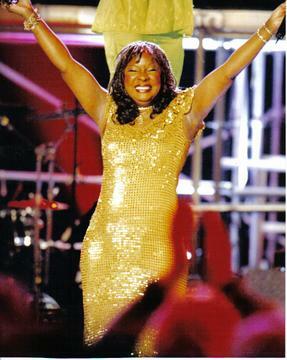 To this day, her unforgettable dance tunes are not only featured in films (â€œSister Act Twoâ€), but can be heard from Liverpool, Japan, Johannesburg, and Sydney, all the way to Fox TVâ€™s top-rated American Idol show where the songs she made famous are performed by future stars and starlets. These superlative compositions reflect the inseparable link between a superlative voice and great arrangements. It was at a Detroit nightclub that a quantum leap was feted by Marthaâ€™s happenstance meeting with Motown Recordâ€™s A&R chief, William â€œMickeyâ€ Stevenson. Mickey invited Martha to visit Motown administration offices to audition for a record deal, and as destiny would have it, Martha was at the right place at the right time. While waiting for the audition, Martha voluntarily helped out in the office since there no one there qualified to type and deal with musicians and the public. This kept her in the office long enough to get the audition that she had hoped for. And arenâ€™t we glad she waited! During this same period, Martha was singing with the Del-Phis, a local group that later became known as the Vels. The Vels recorded briefly on Mel-O-Dy Records, which was a subsidiary of Motown Records. The groupâ€™s break came when a need arose for backup singers for a planned studio recording. This led to the chance of a lifetime, backing up the soulful Marvin Gaye on his smash hit â€œStubborn Kind of Fellow.â€ However, Martha got her lead singing-break when the legendary Mary Wells was absent for a recording session. The studio was already set up and Marthaâ€™s dream would become a joyful reality as she was quickly whisked into action, resulting in the group’s first major recording. After changing their name from the Vels to Martha and the Vandellas in 1963, they (Martha, Annette Beard and Rosalind Holmes) recorded their first single â€œIâ€™ll Have to Let Him Go.â€ However, their second single, “Come and Get These Memories,” proved to be a monster-smash, launching all the way to the top five on the R&B charts. This proved to be the beginning of an explosive career that would propel these rising stars, Martha and the Vandellas, to country after far-flung country, performing before dignitaries and the public alike. In 1972 Martha opted for a solo run as Motown was relocating their offices from Detroit to Los Angeles. She subsequently signed a deal to record with MCA as a solo artist and eventually went on to sign solo contracts with Arista Records and Berkeley, Ca.- based Fantasy Records. Some of Marthaâ€™s memorable albums are: Dance Party, Watch Out, Black Magic, The Rest of My Life, Live Wire, and her newest creation Home To You. These are an evocative collection of songs symbolizing an amalgamation of styles and genres. The legacy of this multi-talented phenomenon includes a plethora of top-rated TV show appearances, magazine covers, and endless concert tours. Martha’s legacy, her lasting career, and her success with recording projects has been so enduring that she is internationally recognized as one of musicâ€™s all-time greats. In 1995 she was enthusiastically inducted into the prestigious Rock and Roll Hall of Fame. With eleven eclectic tracks on Home To You, Martha presents to the world ten original selections and one bonus jam. â€œHome To You,â€ the albums sweet single, preserves lucid backup harmonies with Martha’s riveting vocal gymnastics. On the other hand, Running For Your Love is up-tempo, funk-filled, and has even caught the attention of fan and talk show host Tavis Smiley. Good Days Gone exudes a pulsating gospel feel and is central to Marthaâ€™s metamorphosis from inspirational music to succulent soul. The spicy ballad â€œI Want Your Company,â€ is not only superbly orchestral, but is flavored with a sensuous feel. Now, if you thought the blues was dead, think again, because when you hear â€œWatch Your Backâ€ you will experience a serious blues revival; Martha steps into a down-home feel with this gutsy, tempestuous vibe. Marthaâ€™s professional accomplishments extend beyond recordings and live shows. Her numerous television appearances underscore her visual appeal. In 2004 Martha made a much-anticipated appearance on the popular Tony Brownâ€™s Journal and the candid movie/video Standing In The Shadows of Motown, chronicling the careers of the behind-the-scenes musicians that helped produce the Motown sound. An accomplished actress, Martha will continue to do television and if the right roles surface, motion pictures. Also, the Will Smith hit-movie Hitch features Marthaâ€™s music in the sound-score. An avid sports fan, Martha performed during halftime at the 2002 Super-Bowl classic. Also, for the 2004-5 season, Martha was invited to perform at the Detroit Lionsâ€™ season-opener. Marthaâ€™s interest in US cities is reflected in her recent (2005) primary victory for city council in Detroit. She is concerned with the youth of the country and looks for ways to give back to the culture from which she has benefited so bountifully. She has a lot to say about politics and religion and will continue to make her voice heard as much as possible. Marthaâ€™s career is outlined in her candid autobiography titled Dancing in The Street, (Confessions of a Motown Diva) by Time Warner Publications. Every career has highs and lows and Marthaâ€™s is no exception. But the quality of her work is consistent and enduring. With Home To You, an impeccable, twenty-first century production, Martha reinforces her status as one of Motownâ€™s greatest discoveries. In 2011, Martha received a proclamation from the California State Senate for her for her accomplishments in the fields of entertainment and politics. She received the same tribute from other municipalities in recent years. Home to You is a refreshing contrast to much of the music bellowing from the airwaves today.Â Martha’s career has endured the Motown relocation, theÂ British Invasion, the social revolution, and lifeâ€˜s ups and downs. But through it all, she has managed to outlast many of her contemporaries. We are convinced that her monumental achievements will continue to benchmark excellence now and for generations to come!